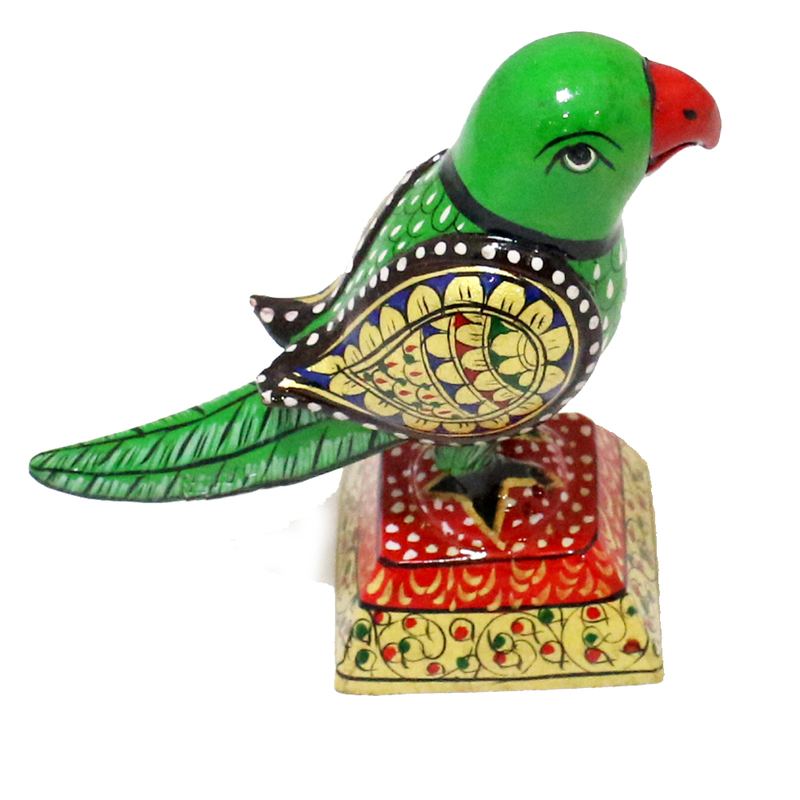 This vibrant green coloured peacock is made of wood and handcrafted well with beautiful colors and art work. 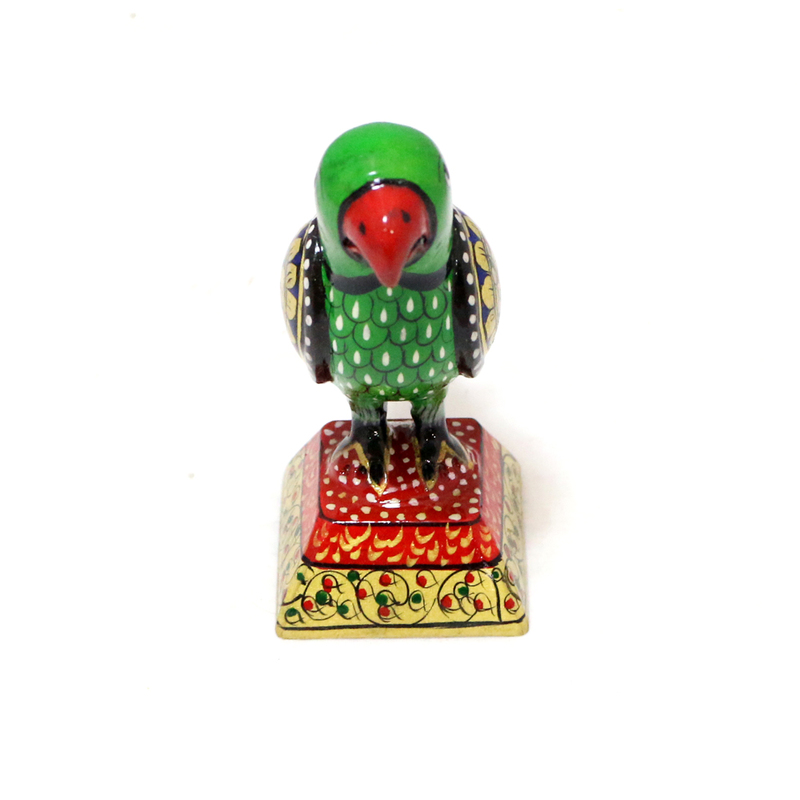 the bird is seated on a squarish Read More..colourful platform. 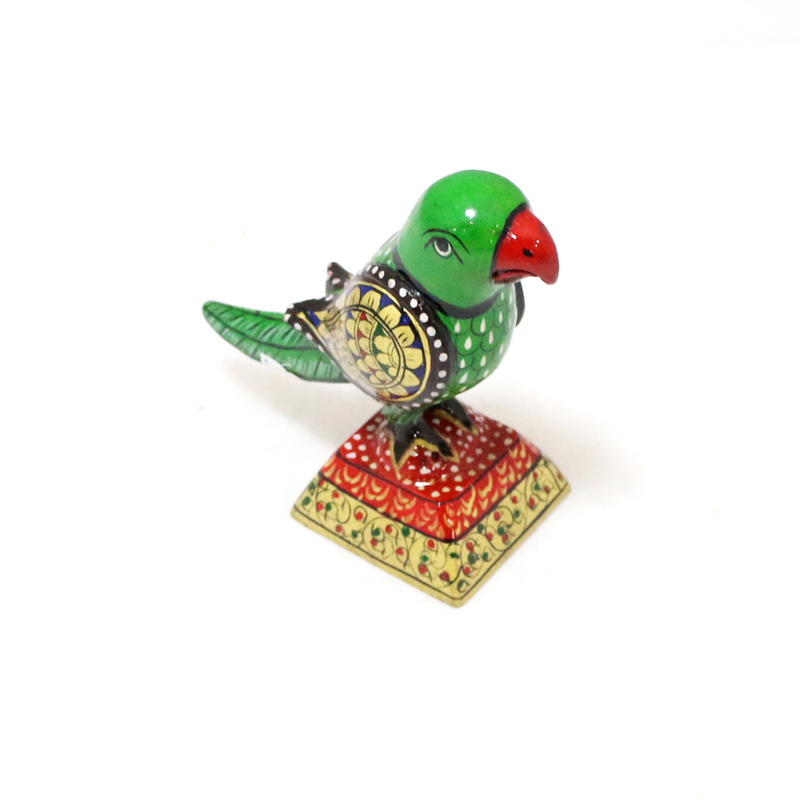 It signifies good health and could also b treated as a good present. Show Less..